An online appointment scheduler calls for quick and frequent access on a daily basis. You may think you need to download yet another app to your mobile for this, but we don't agree. Here's why, and what you actually need instead. You don’t need a mobile app for your online appointment schedule, and neither do your users. You may be raising an eyebrow at this statement. Won’t an app make your life easier? After all, if there’s one tool you can’t live without, it’s your online appointment schedule. And of course, you want to access it quickly, easily and in some cases, frequently. For a start, when you or your users visit your schedule on a mobile device, such as an iPhone or Android, SuperSaaS automatically shows a version optimized for smaller screens. A decade ago, when internet speeds were not what they are today, apps helped users access information quickly. With today’s responsive mobile designs, your schedule is ready to go as it is. The apps you’re familiar with are known as native apps, which you can download to your mobile. Native apps work well for certain needs, such as mobile banking or gaming. 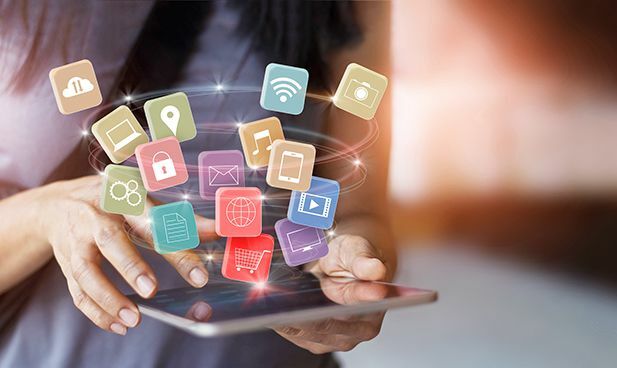 But for most other uses, the future may see native apps making way for a different type of app: the lesser-known but essentially better-suited web app. A web app is built with HTML5 (essentially the language used to create and present the stuff you see on the internet). We believe that native apps are beginning to fall away in general, but especially for online scheduling. Web apps bridge the gaps and remove the frustrations between mobile responsive websites and downloadable apps. While it functions in a similar way to a native app, the main benefit of a web app is that you can add it to your mobile without needing to download or update any additional software. The problem is that all the reasons you’d want an app don’t apply to your online appointment schedule. Online scheduling is meant to make your booking process easier, not an exercise in hide and seek. You’re asking for a world of pain if your users to first have to go to the app store, find the software, download it and only then be able to make a booking for your service. We recognize that what you really need is for your schedule to work more efficiently on your mobile. Our web app makes it possible for you to get any improvements or updates to our website instantly, instead of having to wait for the next update to be released. You’ll always have the latest version the moment you open your schedule. One of the great features we offer is the ability to customize your schedule using your own branding and logo. Chances are, you don’t want the SuperSaaS icon on your mobile, you probably want your own icon. You can’t do this with a native app but you can also display your online appointment schedule using your own icon on the home screen of an iPad or iPhone. If this sounds like a great idea to you, take a look at how to use SuperSaaS on mobile devices.